You are a parent or a teacher and you need worksheets to give some drill to your child or student. It takes you a while to try to prepare random ones in your favourite word processor? Well you won't need to do that anymore with SuperKids Math Worksheet Creator. With this free online worksheet creator, you can quickly print a sheet to practice addition, subtraction, multiplication, fraction, order of operations, percentages, rounding, averages, exponents, factorials, prime numbers and many more. The great thing is that you can configure the worksheet the way you want. 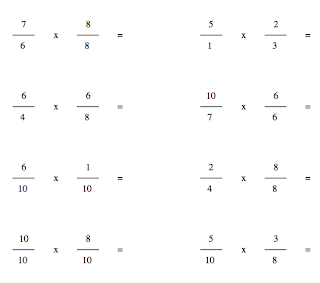 As an example, you can mix addition and subtraction, you can choose minimum and maximum numbers, you can choose to have only integers or to have decimals, you can choose whether you want common denominator or not, etc. And the best thing, you can also print the answer key! This blog is very interesting and very helpful for kids. July 21, 2010 at 3:13 a.m.